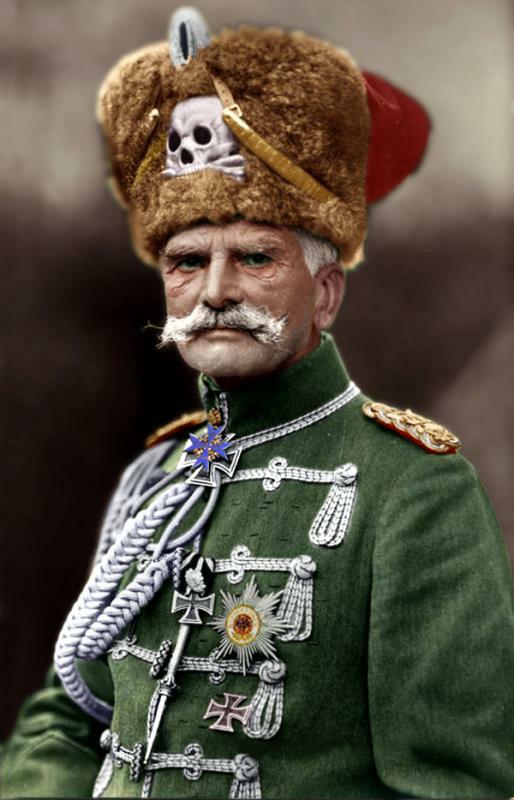 Of course Mackensen boasted that in old age he could still fit into his subaltern's uniform. He is my favorite Imperial field marshal. 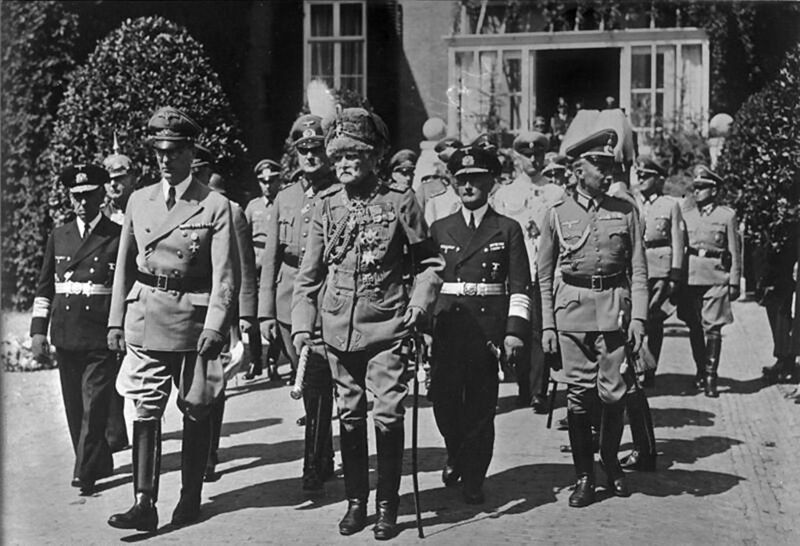 I have a couple of original photos of him inspecting units of the Kriegsmarine in the 1930's. I wonder what happened to his decorations. Good question. In some private undisclosed collection I bet ! Two photos I have of him that haven't been posted yet. 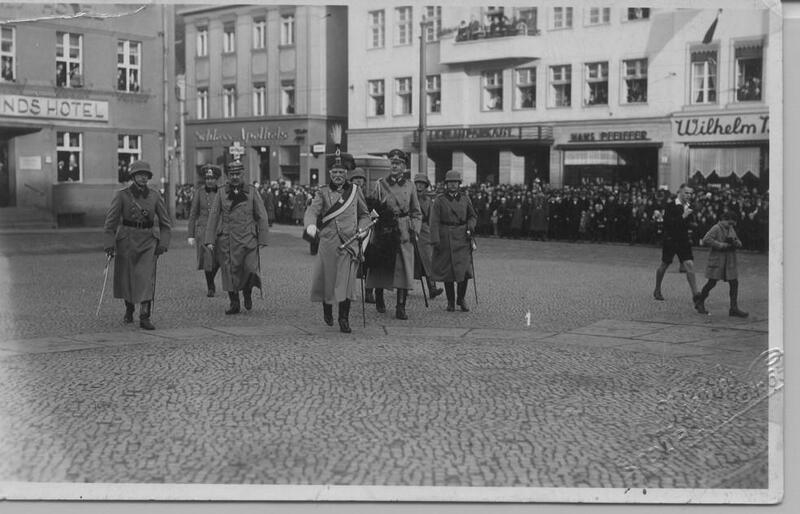 my grandfather does his basic military training in 1935 in Stolp/Pommern. His unit was the 5. 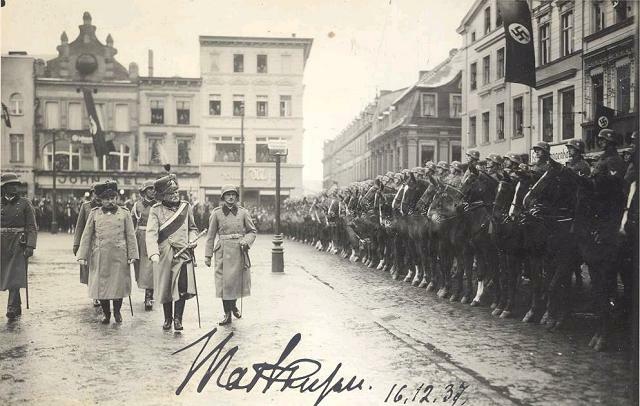 Kavallerie-Regiment. 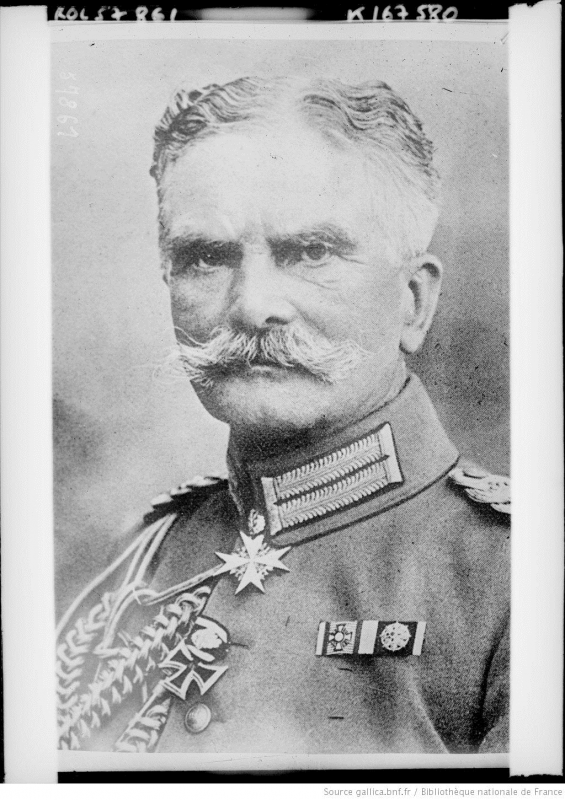 Mackensen was the chief of this regiment. This two fotos are from my grandfathers pictures. 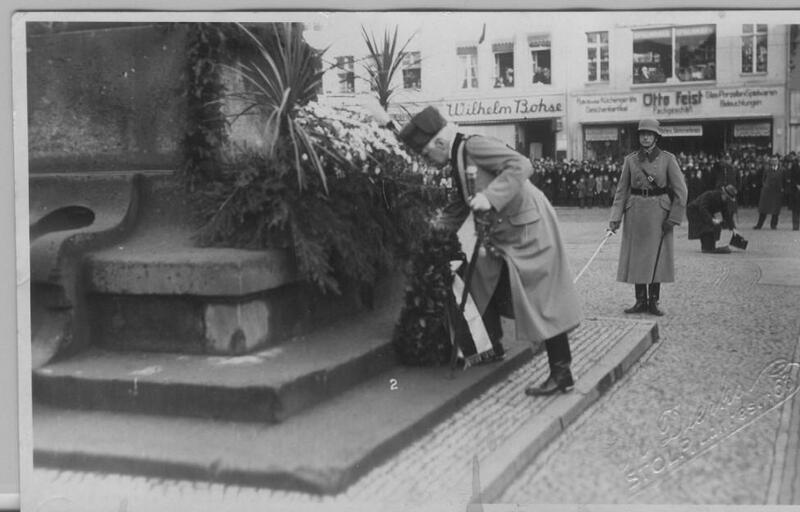 I think, the wreath was laid down by Mackensen on Blücher monument in Stolp/Slupsk. The first and the second company were the "Leibhusaren", the third was the "Blücherhusaren". Only the first and the second company carried the skull of the Leibhussaren between eagle and Korkade (oakleaves), this time. Officer that appeared in both pics was Obst Richard Satow, Kmdr of Kav Rgt 5 33 to 37. 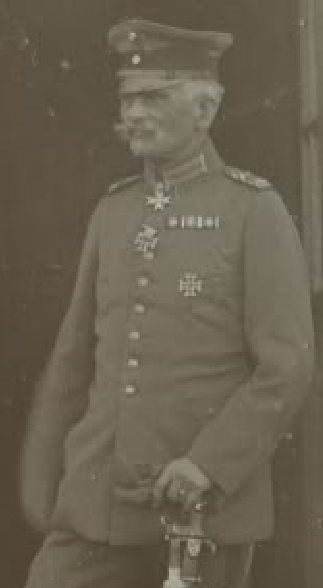 He was later GenLt and Kmdt v Stettin. A rare bird he was to sight! here is another pic from 1937 with Oberst Satow. 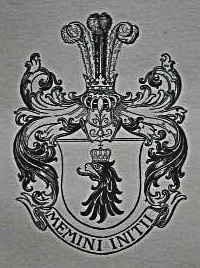 This is GFM von Mackensen Coat of Arms. Somebody have bigger version of this Coat of Arm? I'm interested. 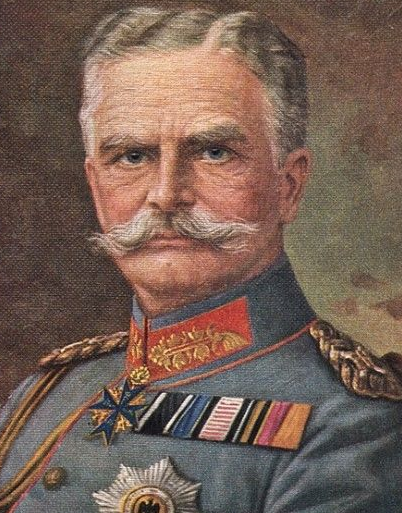 It's from book "Feldmarschall v. Mackensen . Festschrift zum 80. geburtstag" , Berlin 1926. From Bulgaria: St. Alexander Order Grand Cross [with diamonds?] and swords thru centre and Military Bravery Order 2nd class [neck badge] --- possibly Military Bravery Order lst class [neck & pin back badge] Military Merit Order [grand cross with war decoration] as well. 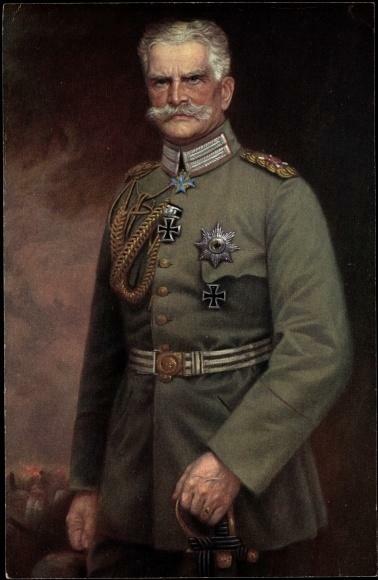 Ehrenkreuz des Weltkrieges 1914-1918 mit Schwertern (1934). If you have other infos, thank you in advance. Any photos/list of medals on his seldom-worn medal bar? What year was this photo? I wonder how often he wore only his uniform left the neck badges off. 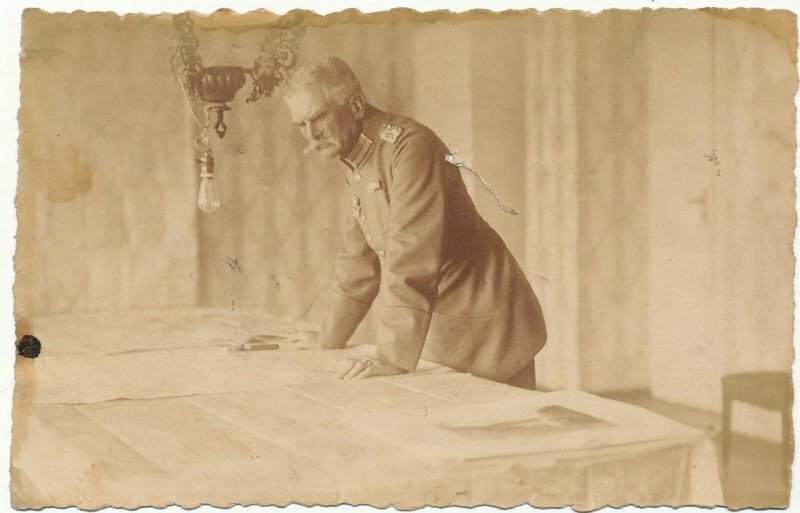 Von Mackensen as Commander-in-Chief of the 11th Army in Galicia in his quarters in the field. So it must be 1915. 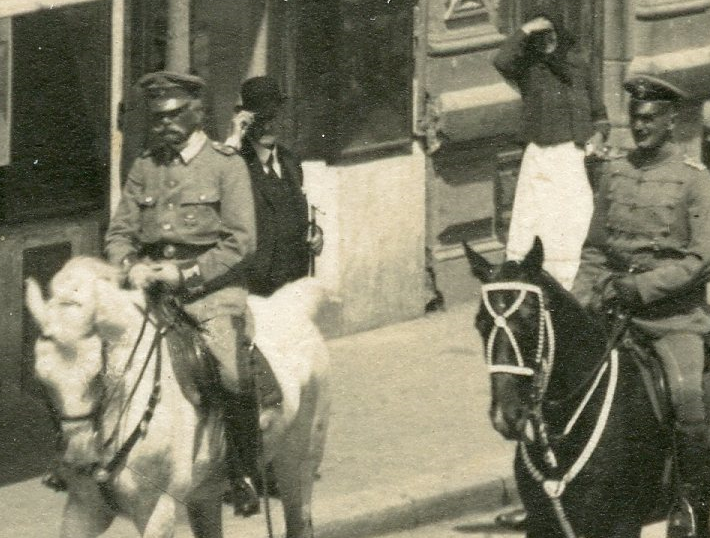 There are post-war photos of him in full-dress where he appears to be wearing his medal bar but the resolution isn't good enough for me to make them out, except for the 1870 EK2. Can we see them? Resolution is not problem. Just want to see when and where he wearing it. Here is a link to a picture that shows a long, post war bar but the resolution is not good enough to see detail. It's typical of the photos I've found: too small to be useful. I know this photo. But i don't see ribbon bar there. My english is not good but maybe we think different things? Medal bar and ribbon bar. My mistake! But still i haven't seen post-war pictures where he wearing ribbon bar. Ribbon bar = whitout medals, only ribbons. yes, Mackenson is wearing his medal bar in this photo, the ribbons over the medallions. I am interested in finding out which medals he wore on this medal bar or earlier medal bars.